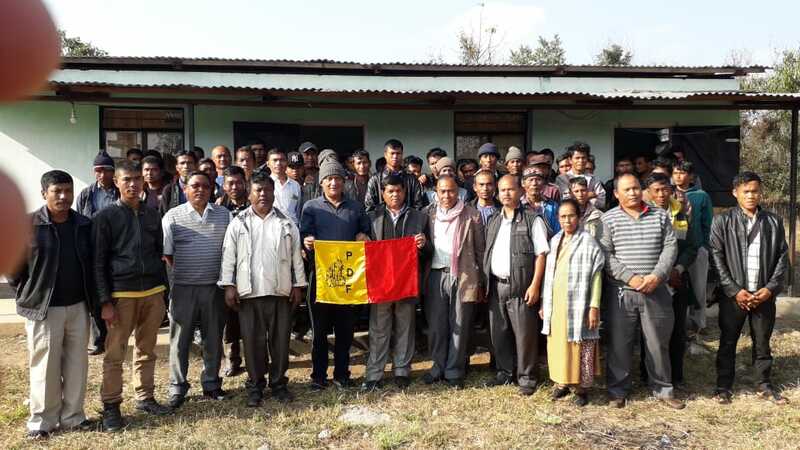 NONGPOH: With the Khasi Hills Autonomous District Council (KHADC) polls approaching fast, the United Democratic Party (UDP) suffered a huge blow when leaders from the Umroi Circle decided to dissolved the party due to issues with the central leadership. This has come to light during the Central Executive Meeting of the UDP Umroi Circle held at Khapmara Bhoirymbong on Monday which was attended by the President, Mangkara Pathaw, Vice President, Shngainlang Thangkhiew, General Secretary, Thomas Lyngdoh and the office bearers of the Umroi Circle. The issue which led them to take this drastic step and dissolved the party unit at Umroi, is the central leadership of the party had sidelined them and does not take into confidence their views and opinions on selection of party nominees from Umroi Constituency for the upcoming KHADC polls. It may be noted, the central leadership of the UDP had earlier given a ticket to former NPP leader from Umroi constituency, FD Ramsiej to contest for the upcoming KHADC polls from Umroi Constituency. Ramsiej who is also former UDP leader, joined NPP after he was denied ticket for the Assembly polls and again joined the UDP during the month of December last year. During the meeting, leaders of the UDP Umroi Circle also wondered as to how the central leadership of the party allotted the party ticket to FD Ramsiej for the upcoming KHADC polls despite his anti-party activities during the last Assembly Elections. “We have even sent a letter to the central leadership stating Ramsiej anti party activities, but it seems they do not pay heed and concerned to our letter by going ahead with their own will” Umroi leaders said during the meeting. The meeting which was held for nearly two hours also decided to resign and dissolved the party’s Umroi Circle. Meanwhile, these former UDP leaders on the same day also decided to join People’s Democratic Front (PDF) which was warmly welcome by the Umroi MDC, Arbinus Lyngdoh.